Posted April 28th, 2016 by Judith Clemo & filed under Uncategorized. Every week we take an adventure somewhere with the hope of providing you with some useful tips and information in order to help you plan your visit. This week we went to The Eden Project. A short drive from Tregongeeves, and accessible on the bus it is up there on most people’s list of things to do when visiting. The huge reclaimed quarry is the brain child of Tim Smit, also the man behind Heligan (his book is worth a read). Eden is huge, and unlike most people assume, as much outdoors as indoors – it is not just a wet weather place. The huge family friendly day out consists of two ‘Biomes’, one Mediterranean the other a rain forrest, the Core building with a nice size soft play, and oodles of different gardens to explore and escape in. Don’t make the mistake many do of heading to the two Biomes and thinking this is it. Make the effort to explore the outside – it is worth it. PROS: It is huge and you can be there all day. It is very accessible with excellent disabled and baby facilities. There is always activities going on that are very well thought out for children of all ages and abilities. 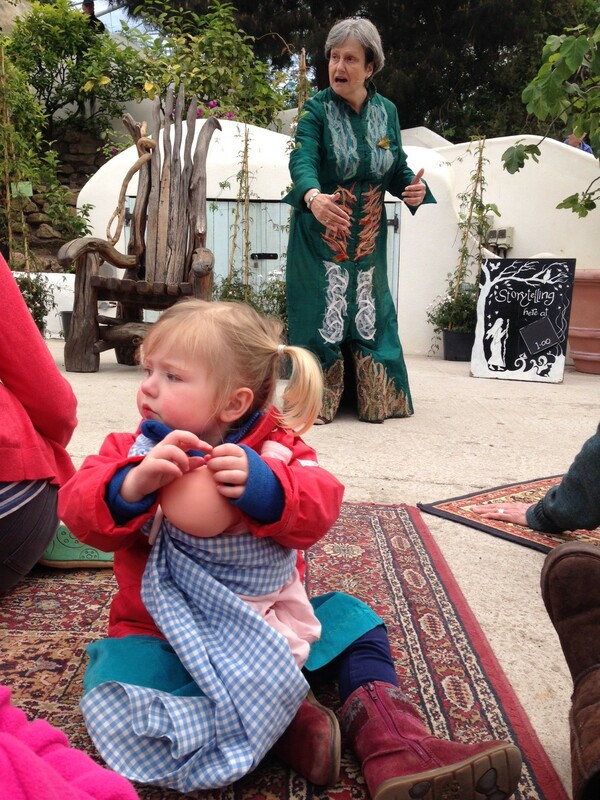 During our visit, in term time we experienced the magically story teller, she is excellent. The food is good, but pricey and busy. CONS: It is an expensive day out. Try and find a voucher or use Tesco vouchers to get in. It gets seriously busy especially on a rainy day in the holidays. Go early, when it opens or late in the afternoon to avoid too many people. Take a picnic if you don’t like queuing for your food. TIP: Head out of the Core building, taking the lift to the bridge. Up there is a sheltered picnic area with lovely play area. Even on the busiest day we have found somewhere to seat and the children love playing and exploring the space.